Over the weekend my best gal and I made it out to the mountains for her first snowshoe adventure. We chose Source Lake, and thanks to the Seahawks game it was not too crowded. This was my first snowshoe where I got to use my ice axe for more than balance/support. There was one section that was so steep I had to use it to pull myself up. Once at the top we learned there was a different, easier route so we took that one back down. It was fun to get a little adventure in with the more challenging route, though. One of the tricky things about this trail was that in all the snow it was difficult to know which tracks to follow. I think they all eventually got to the same place, but some of them were safer paths than others. We were hoping the clouds would break but we only got into heavier fog, so we did not venture past the lake. 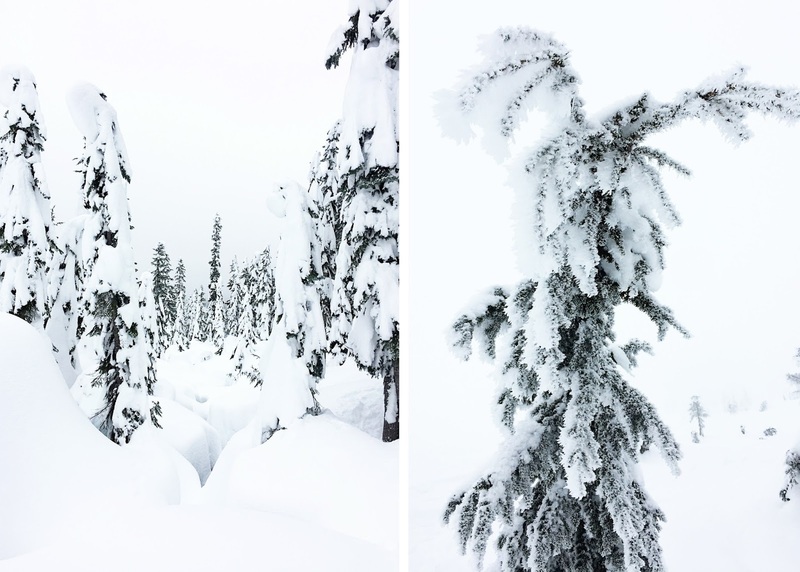 It was pretty magical being surrounded by trees and that thick layer of snow and fog. We saw many groups doing avalanche safety lessons in the bowl around the lake. This is a hike that requires checking the level of avalanche danger before venturing out. For more information, visit WTA's Hiking Guide for Source Lake and the Northwest Avalanche Center.